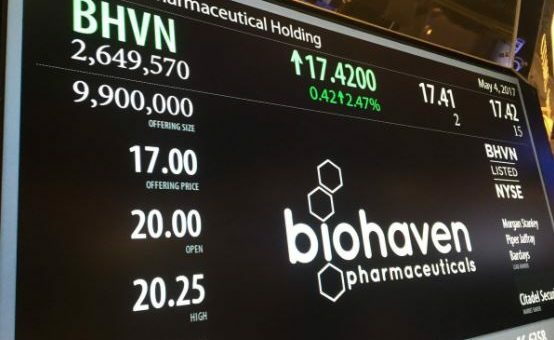 Biohaven has received FDA Fast Track Designation for its candidate trigriluzole (BHV-4157), a rare disease treatment currently in phase 2/3 trials. The drug is being developed for Spinocerebellar Ataxia (SCA), a rare, debilitating neurodegenerative disorder that is estimated to affect around 22,000 people in the US. Standard of care treatment is supportive, with no treatments currently approved for patients with the debilitating condition. The good news comes hot on the heels of the company’s successful IPO, which raised $168 million in an IPO on 4 May, making it the most successful biotech market flotation this year. 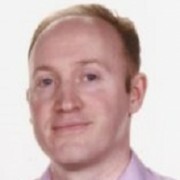 Biohaven specialises in neurological diseases, including rare disorders, and spun out of Yale University with a focus on drugs affecting the glutamatergic system, of which trigriluzole is one. Topline results from trigriluzole are expected in early 2018, with trials in Friedrich’s Ataxia and Sporadic Ataxia now in phase 1. Biohaven has expanded its pipeline, having acquired a candidate from AstraZeneca in depression and anxiety. It has also acquired two migraine candidates from BMS, rimegepant for acute treatment of the condition, and BHV-3500 for the prevention of chronic and episodic migraine. Rimegepant will begin two phase 3 trials this year, with topline results expected in the acute treatment indication in the first half of 2018.